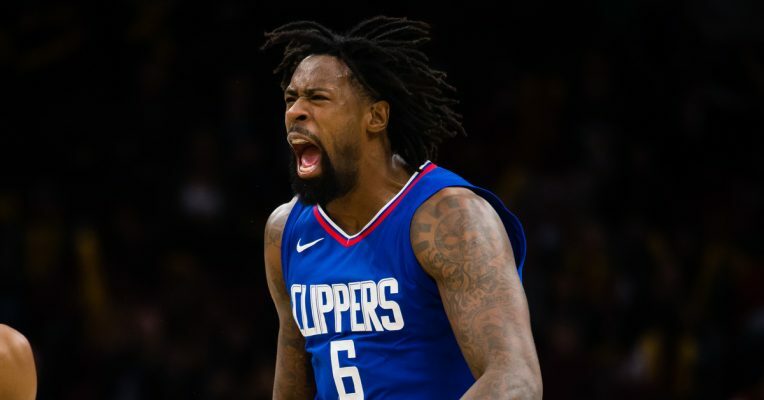 For more than two months, the name of DeAndre Jordan has been linked to possible trades involving the Cleveland Cavaliers. However, while the Cavaliers would undoubtedly consider making such a deal, it’s apparent that the team isn’t willing to give up its most valuable bargaining chip to the Los Angeles Clippers. The fact that Jordan may not be around next season apparently hasn’t scared the Cavaliers away from acquiring him. The difference is that any first-round pick sent to the Clippers will be the team’s own selection, not the Nets.’ That’s because the latter is expected to be a lottery pick, while the Cavaliers’ choice figures to be among the bottom third of that first round. The Clippers have given every indication that they’re rebuilding, having dealt Blake Griffin to Detroit earlier in the week. The team’s situation is such that Jordan is expected to enter the free agent market in July, which requires them to deal him now in order to salvage something from his seemingly inevitable departure. Cavs general manager Koby Altman has until Feb. 8 to pull the trigger on any such deal.